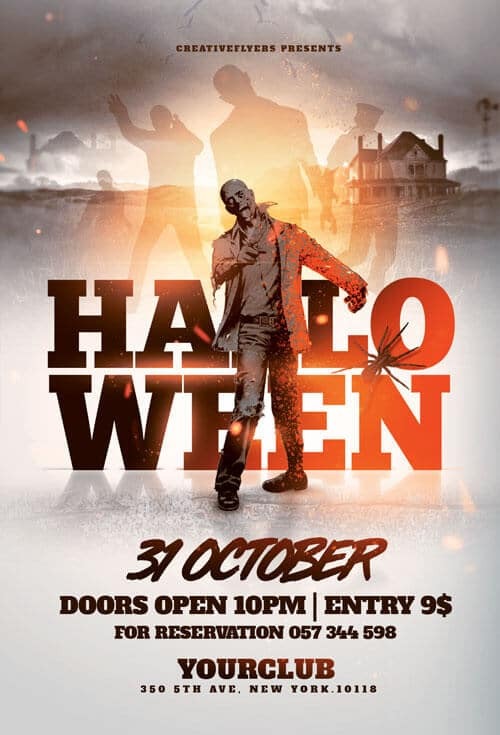 Here is a Halloween flyer template specially designed for your special halloween events. Flyer Psd files worked with photoshop ready to print . You’ll find remarkable graphics, colors, lights and unique text effects.